I am not quite sure how to express my feelings as my heart breaks after hearing about Mathias. I am supposed to be some big tough baseball coach that leads young men. If only I could be half the leader that Mathias Giordano has been to our local community and beyond. A true hero! As hard as is to think about I have to believe that God brought us kids like Mathias to truly make a difference in the most remarkable way. Mathias didn't need a full lifetime to make a difference. It only took him 13 years to impact all of us in so many special ways. How can we all stay strong? This one is a little bit easier. 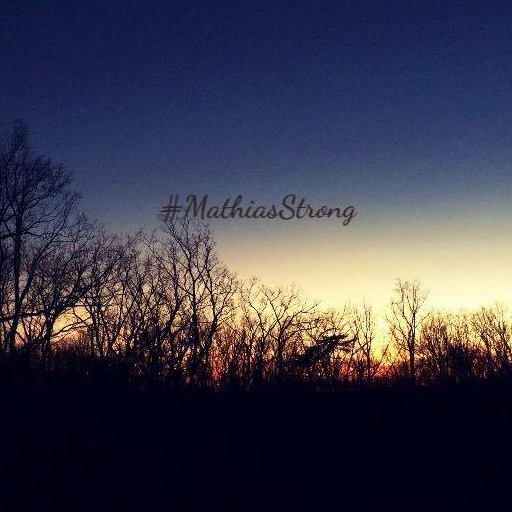 We can stay strong by thinking about Mathias and the courage that he displayed throughout his battle with cancer. Nothing set him back and his courage was everlasting. How can we ever smile again? As I fight back tears, there is one thing that puts a little smile on my face. It is thinking about Mathias' smile. I have never met anyone who could light up a room like Mathias could with that amazing smile of his. What can we do for the Giordano family? I have a child with cancer and I cannot even begin to imagine what the Giordano family is going through. I don't have the answer but I would hope that we could all try and make a difference for this cause in honor of Mathias and the Giordano family. How was Mathias able to always remain so positive? Cancer couldn't take away his positive attitude. Cancer couldn't take away his beautiful smile. Kyle and I pray together every night. We pray for Mathias. We pray for Gavin, Gabriella, Declan, Shayla, Carter, Hope, Sabrina, Jack, Tara, Reed, Ellie, Katie, Eric and their families. Mathias- A baseball guy to a soccer hero- as Kyle and I pray tonight, I would ask you to lend me some of your incredible courage. Give me the courage to talk to Kyle about you and the impact that you had on all of us. Give me the courage to go speak at a large fundraiser tomorrow in front of 400 people when I won't be able to stop thinking about you. Give me the courage to continue in the battle against childhood cancer in your honor. Thank you for leading us all and teaching us so much. You will remain in our hearts forever!